The choice between four- and six-cylinder Sorentos is a little less obvious now, but for sure, steer clear of the manual-shift and base four-cylinder versions, since the better drivetrains are only a few hundred dollars more. An also-ran in family crossover vehicles until last year, the latest Kia Sorento is a value-rich wagon that just happens to have all-wheel drive, if you need it, and a V-6, if you can't live without one. But even as a front-driver, with an economical four-cylinder, the Sorento makes a serious case for itself with excellent interior space, above-average gas mileage, and relaxed road manners. Kia's rapid improvement in styling makes the Sorento a design to notice. It's not overtly trucky, nor is it too soft and curvaceous--it strikes a handsome middle ground between the opposite ends of the crossover spectrum. It's neatly organized inside, too, with only the hard feel of its plastics taking away from its tidy good looks. Choosing the right Sorento means knowing how you'll use it. 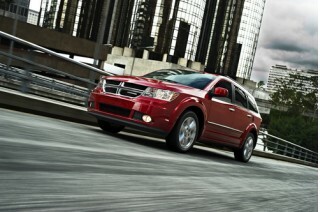 For most of today's crossover drivers, the front-drive, four-cylinder version with direct injection is a fine choice. Skip the manual transmission and the base four-cylinder: the 191-hp four spins sweetly enough, and delivers as much as 30 mpg highway according to the EPA's ratings, with a well-sorted shift quality and good handling that gives more weight to comfortable ride than to even moderately brisk cornering. Opting into the V-6 version is something we'd reserve for drivers who tow on occasion, or for those who regularly run the kiddie carpool and use all of the available seats. The base Sorento comes out of the Georgia assembly plant as a five-seater, and even for adults, those seats have ample leg room and good head room. The seats themselves are supportive--even better when they wear leather--but the third-row bench is only for those under five feet tall, with the dexterity to jump into the way-back, and the distractions to ignore the low seating position. Cargo space is fine, mostly, but a seven-row model with the back row raised won't leave much room behind for any cargo. Strong safety scores from both the Feds and the IIHS put the Sorento in good stead with the competition, as does the array of standard equipment--air conditioning, power features, Bluetooth, satellite radio and a USB port are present and accounted for on every version. If you get spendy, the SX offers standard navigation, leather, and has an available panoramic roof, but prices zoom past the $30,000 mark. The 2012 Kia Sorento is pleasantly good-looking, not too authentically SUV, not too station-wagony. Attractive styling has drawn lots of new shoppers to the Kia lineup, and the Sorento was one of the first vehicles of the new generation to wear the themes penned by head designer Peter Schreyer. Lower, longer, and more balanced than the first-generation SUV, this latest Sorento wears Schreyer's signature front end, with a wide arc of headlamps and grille integrated tightly into a deeply wedged nose. From the side, the Sorento can look aeronautic. It's all tied together well with a tall greenhouse and a blunt tail that does a great job summing up the new look and its minimal use of detail. Inside, the Sorento's cabin greets drivers with a large dash punctuated by three big oval gauges, marked in clear, large type. The center stack is topped by a big LCD screen, which is itself flanked by large air vents and sits atop knobby climate controls--the big, round kind that are easy to operate without staring at the controls instead of the road. The simple look only is dulled by lots of hard plastic. Most of it looks good, even the woodgrain trim that bisects the dash horizontally, but there's very little of the soft-touch plastic we've grown more used to, even in less expensive vehicles. Kia’s assembly quality reached global standards a few years ago, and the Georgia-built Sorento is no exception. For its price, the hard plastic on the dash and doors is understandable, and it’s all pieced together with above-average fit and finish. There's now more reason to choose the base four-cylinder, but either 2012 Kia Sorento has fairly responsive road manners and a well-tuned ride. With a range of performance from economical to brisk, the 2012 Kia Sorento has a newly available engine that makes our previous recommendation of the V-6 a little less unanimous. Last year, we noted the lack of motivation from the old 172-horsepower, 2.4-liter four-cylinder. Now rated at 175 hp and offered only with a manual transmission, we'd still recommend passing up this rarely-seen model. Front-drive LX Sorentos also offer this engine, but only in front-drive form. The same engine's been revamped with direct injection and is offered on LX and EX Sorentos. 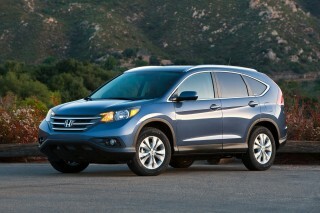 The changes raise both the gas-mileage and overall horsepower figures--up to 30 mpg highway and 191 hp in all. There's more noise from the direct-injection hardware, but the relatively lightweight Sorento feels a little more responsive with the four-cylinder, and well capable of 0-60 mph runs of less than 9 seconds. 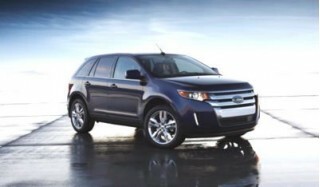 This engine in LX trim represents a great value for crossover shoppers looking for a bargain in the mid-$20,000 range. For a few thousand dollars more, the muscular 276-horsepower, 3.5-liter V-6 represents the top of the Sorento lineup. Offered with either front- or all-wheel drive, the big V-6 is the pick for families that pack their cars full of kids and gear. The six-speed automatic shiftly smoothly and eagerly, and the engine doesn't mind trips to the redline as it pulls up to highway speeds without much protest. Fuel economy doesn't suffer too much, so long as you don't really need all-wheel drive--a question anyone living down south or out west should ask before adding all that weight to the bottom line. 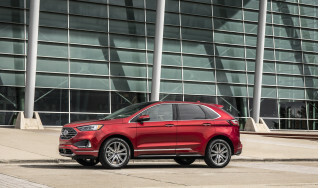 If you think you need it, the optional all-wheel-drive system sends most of the power to the front wheels, but when traction changes, it can send 50 percent of the power to the rear wheels. Drivers can also lock the differential at a 50:50 power split, and Kia includes downhill descent control and hill-hold assists, but no true low range (or any real need) to make this a true off-road vehicle. However, the Sorento can tow 3,500 pounds in some trims. The Sorento’s ride quality is a touch more rumbling than you might expect on construction riddled interstates, but you'll mostly notice noise and a light impact feel. 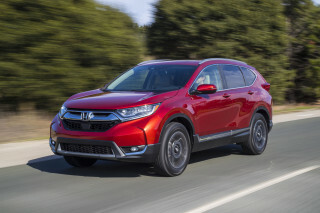 It’s more softly sprung than the RAV4 and CR-V, with steering that’s willing but not exceptionally quick, and a whiff of torque steer for front-drive models. It’s the kind of benign handling you look for in family vehicles. 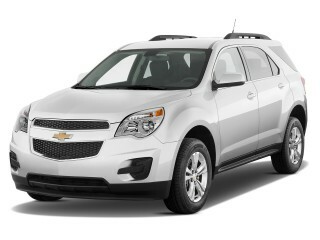 A roomy five-seater all the time, the 2012 Kia Sorento has two more seats on the options sheet, if you really need them. New for the 2011 model year, the Sorento gave up its old rear-drive truck running gear and upsized its passenger cabin, making it more of a family wagon. 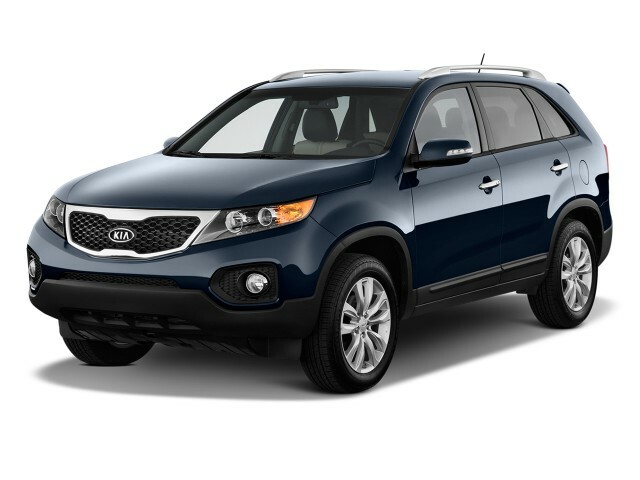 It's the same for the 2012 model year, and a recent test drive in this year's model reminded us how the Sorento hits a sweet spot when it comes to carrying people and cargo, while still remaining maneuverable in town. At 184.4 inches long, riding on a 106.3-inch wheelbase, the Sorento hits the middle of the crossover segment, with CR-Vs and Escapes on the smaller side and RAV4s and Edges on the larger side. The Sorento seems bigger inside than some of the bigger utes, though; the feeling of spaciousness is notable, even against something physically bigger, like the Chevy Equinox. In the first two rows of seats, the Sorento fits most passengers pretty well. Those front buckets are bolstered better than we expected (at least, the leather versions are), and the cabin is designed with plenty of head and leg room. In the second row, six-foot-tall adults will find enough space, too, and the seatbacks recline for better comfort on long road trips. The Sorento can be fitted with a third-row seat, a novelty in the class, aside from the third row in the Toyota RAV4. We don't consider the Mitsubishi Outlander's puny third-row bench suitable for anyone other than small children. The Sorento's seat won't carry anyone taller than five feet, and the seat cushion sits almost on the floor to create what head room is there, but as a substitute for a minivan, the seven-seat model does a fair job of balancing convenience and flexibility. On that note, the third-row seat folds flat to reveal a cargo area with a decently low load floor, and the second-row seats fold forward to expose a total of 72.5 cubic feet of hauling room. With the third-row seat in place, cargo room drops to a measly 9.1 cubic feet, and the seatback itself sits close to the rear hatch glass. The Sorento earns good scores from the two major crash-test agencies; we wish the optional rearview camera were a stand-alone option. No matter which Sorento you choose, you'll be assured of good crash-safety performance. Each 2012 Sorento comes with dual front, side, and curtain airbags; anti-lock brakes, traction and stability control; and active headrests. Those basics aren't helped along by some of the more exotic safety technology on the market today, but nonetheless, the Sorento's a strong performer in crash testing. The NHTSA (National Highway Traffic Safety Administration) gives the Kia four stars overall--with five-star side-impact protection and four stars each for frontal impacts and rollover protection. The Insurance Institute for Highway Safety calls the Sorento a Top Safety Pick. Every Sorento comes with in-demand features like Bluetooth, satellite radio, and USB; you can spend almost $30,000 by optioning up to the leather interior and rear-seat DVD player. A long list of standard equipment makes the 2012 Kia Sorento an exceptional value in crossovers, whether you choose the five-seat or seven-seat model. Three trim levels are available, aside from the drivetrain choices. 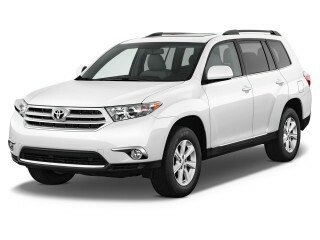 Base and LX models have standard air conditioning; cruise control; power windows, locks and mirrors; satellite radio; Bluetooth; USB connectivity for portable music players; steering-wheel audio controls; and a tilt/telescoping steering wheel. Those base versions used to check in under $20,000, and now start at more than $22,000 when destination charges are included, more than $23,000 with the automatic. Move into the EX Sorento and you'll also get reverse parking sensors; a power drive seat; pushbutton start; fog lamps; automatic headlights; and a rear spoiler. On V-6 models, the EX also gets the third-row seat package, which comes with a rear air conditioner. An SX package adds sporty wheels and body add-ons, as well as standard navigation with voice control, Infinity speakers, ventilated front seats and a heated steering wheel. 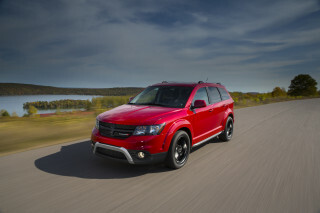 On the options list for various models are some key offerings, which can push the Sorento's pricetag to nearly $30,000. While it's a good value in base form, we'd opt for the rearview camera, but as an option on LX and EX models, it's bundled with a navigation system that's a considerable uptick, given the Sorento's low base price. Infinity audio brings better sound quality, but navigating the Sorento's sound system has some foibles that will take a few clicks and taps to get used to. Leather seats and a panoramic sunroof are also offered. This year, the Sorento also gets a choice of newly styled wheels; a power passenger seat; a ventilated driver seat; power-folding side mirrors; and upping the tech ante, UVO. The UVO system is Kia's version of the same Microsoft code that underwrites Ford's SYNC system. It uses Bluetooth connections to drive some vehicle functions by voice, for hands-free operation of the phone and audio controls. It's not quite as sophisticated as SYNC, but it's a smart first step into less distracted driving. A new base engine gives the 2012 Kia Sorento a step up in the gas-mileage competition. The Sorento's average fuel economy has improved to a little better that average in the 2012 model year, as the crossover gets a more efficient four-cylinder engine option. With the new direct-injected four, and an "eco" transmission mode on automatic-equipped versions, the Sorento is now solidly in the mid-to-upper-20s for highway mileage. Four-cylinder versions of the 2012-2013 Sorento are among a set of vehicles found to have overstated fuel-economy numbers. Kia initially submitted figures of 22/32 mpg (25 mpg combined) with 2WD and 21/28 (23 combined) with 4WD to the EPA, which allows automakers to self-certify fuel economy. On a confirmation check of several vehicles, the EPA found the Sorento's actual tested fuel economy to be 21/30 mpg (24 combined) with 2WD or 20/26 (22 combined) with 4WD. Owners can register with Kia to receive reimbursement for the gas consumed above and beyond expected levels; more details are found at KiaMPGInfo.com.Base versions still offer the older four-cylinder and front-wheel drive; they're rated at 20/27 mpg with the manual transmission and with the automatic, 20/29 mpg. The V-6 Sorento carries over its fuel economy numbers. 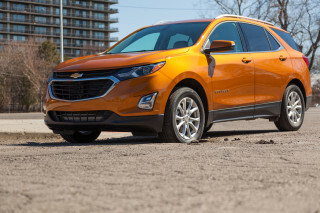 The front-drive automatic-equipped crossover is rated by the EPA at 20/26 mpg; with four-wheel drive, it's still competitive at 18/24 mpg. Would recommend it due to great value, dependability and performance. So far we really like this car!! Generally happy with my car.